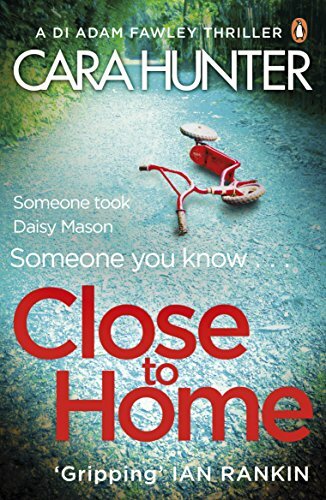 When eight-year-old Daisy Mason goes missing on the evening of her parents' barbecue party, it falls upon DI Adam Fawley and his team to discover exactly what happened. As time runs out for Daisy's safe return, long hidden secrets begin to emerge. DI Fawley knows all too well in cases like this the perpetrator is often someone close to home. With obstructions coming from every angle, he knows he's got an uphill struggle. Will Daisy be found before it's too late? 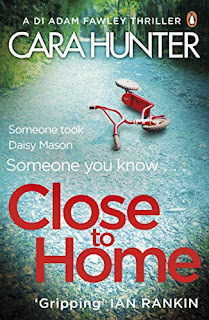 Close to Home is a complex story centered around the hunt for a missing child in which family secrets come to the forefront. As the search intensifies, it becomes apparent not everyone is telling the truth. But what are they hiding and why? I thought this book was a gripping read. Once started I simply couldn't put it down until I had the answers. A couple of times I thought I'd figured it out...only to be proved well and truly wrong! The ending was unexpected and shocking. However, I'm not sure whether it was just a little too unbelievable or a stroke of genius. Without doubt it's a quality British crime thriller. The second book in this series, In The Dark, is published on July 12th 2018. I shall definitely be reading it.